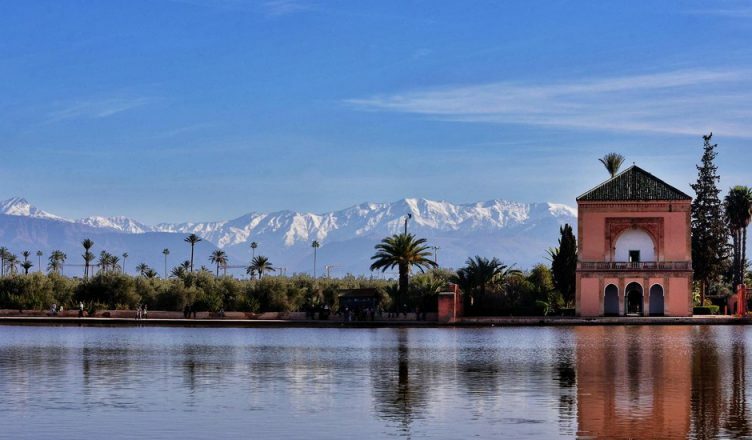 Marrakech A city filled with excitement and history. Here, you’ll find something for all senses. 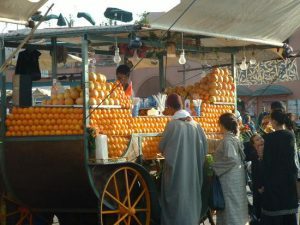 The sounds of Djeema Al-Fna including snake charmers, storytellers, musicians, vendors selling fresh-squeezed orange juice. The historical sites – palaces, medersas, mosques – rich in architectural beauty. The smell of tajines being prepared in front of you. The taste of mint tea. The feeling of being in another world. 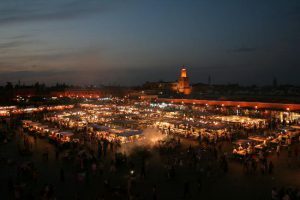 That’s what makes Marrakech a truly magical place. A guided tour of this magical and historical city must be done in style. That’s why we’ve hired a horse-drawn carriage to show you the best sites of the city. We’ll stop at all the major sites: Jardin Majorelle,Medersa Ben Youssef, Koubba, Marrakech Museum, Palais Bahia, Palais El Badi, the Saadian tombs and the Menara garden.